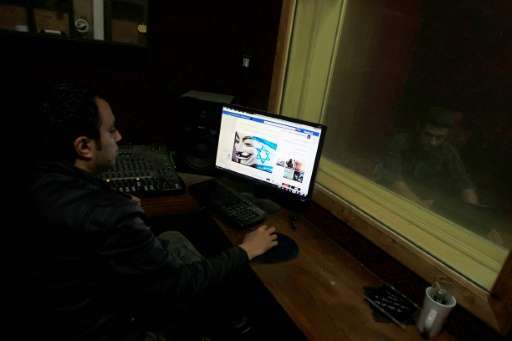 Israeli ministers have approved a bill that would allow a court to order sites such as Facebook and YouTube to remove material found to be "incitement," which they say contributes to Palestinian violence. A panel of ministers approved the legislation on Sunday and it will now be taken up by the country's parliament. Israel has previously held discussions with Facebook officials to stop what it calls online incitement. In September, Shaked said that the social network giant had removed 95 percent of the posts Israel had referred to it. Shaked said Sunday that in 2016, 71 percent of the 1,755 requests Israel filed to internet companies requesting they remove content were fully complied with. She noted the ongoing collaboration with the internet companies, but stressed that it was "important this cooperation will be obligatory". Public Security Minister Gilad Erdan, who also pushed for the bill, accused Facebook and other internet companies of not removing "inciting content" every time police ask them, or not doing so swiftly enough "despite the fact that incitement leads to terror." But the possibility for error was seen in September, when Facebook apologised after temporarily disabling accounts linked to two Palestinian news sites critical of Israel. The move drew concern over the potential for online censorship. The Israel Democracy Institute think-tank said the bill was "unprecedented" in its current form when compared to similar legislation in other countries. It said it would be difficult to enforce and would "facilitate a disproportionate amount of censorship." Israeli and American victims of Palestinian attacks filed a $1 billion lawsuit against Facebook in July over allegations it was used by the Palestinian Islamist movement Hamas to organise violence.